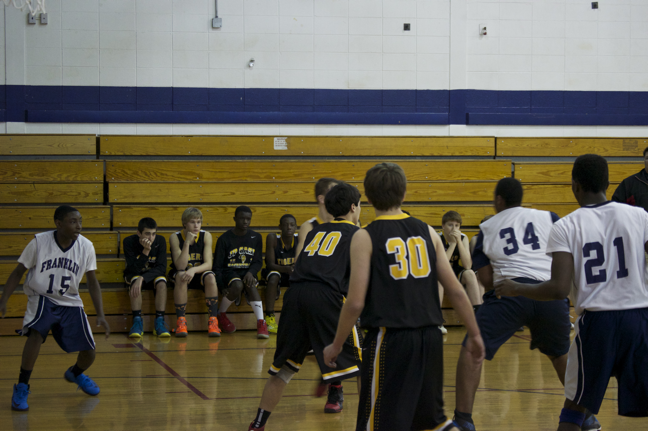 Added by Bill Bowman on January 28, 2014. 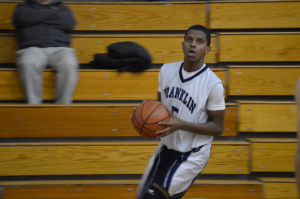 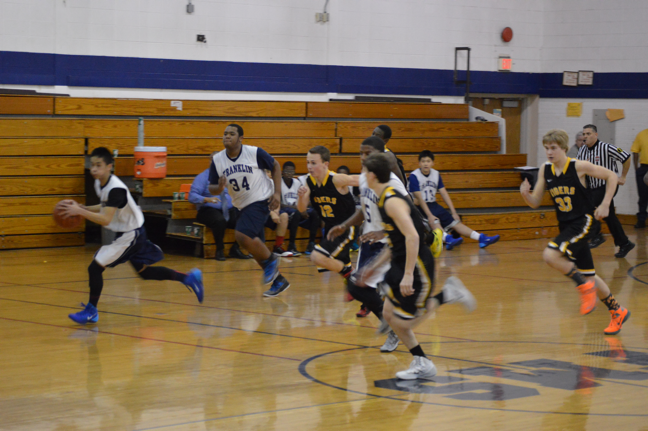 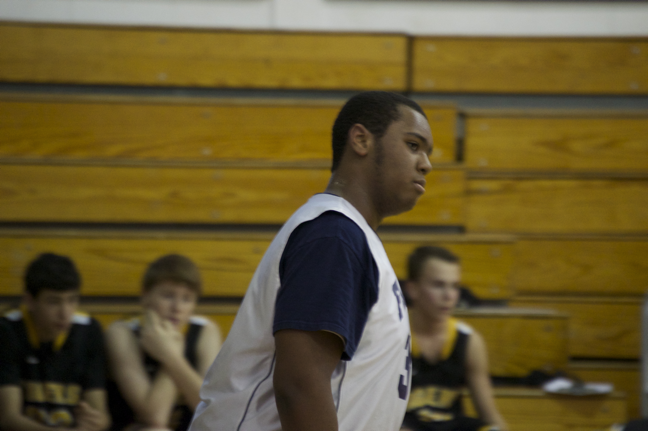 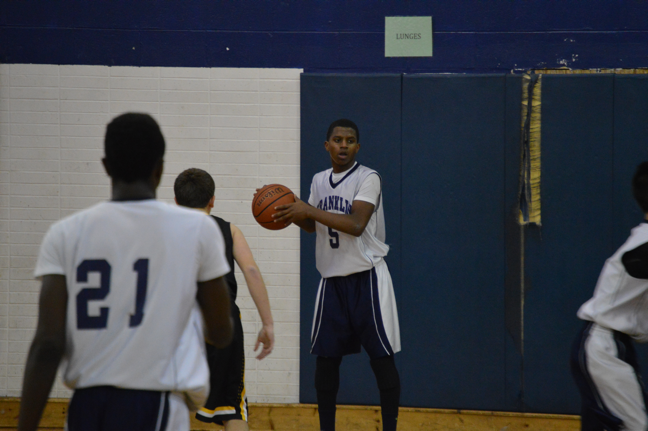 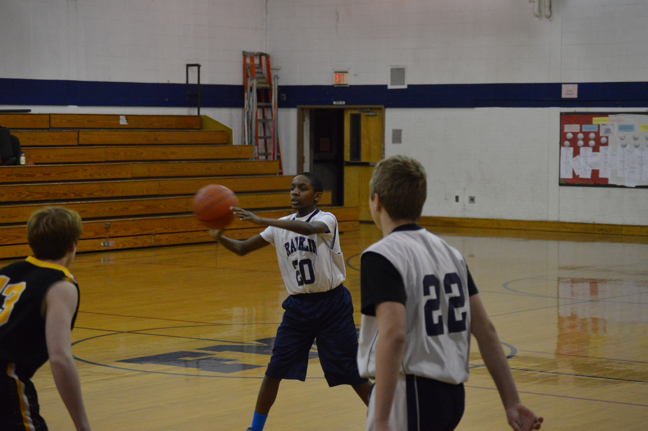 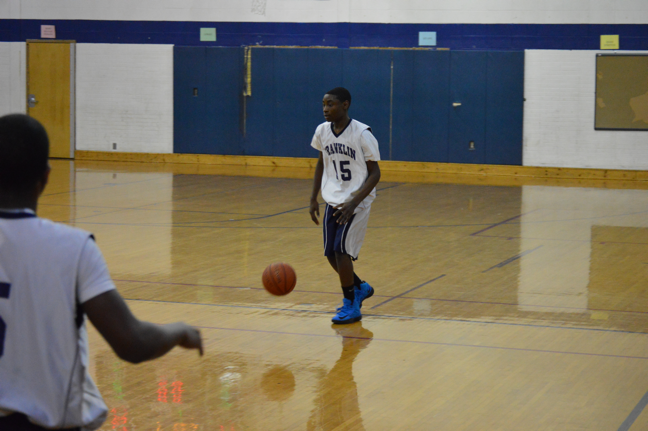 Antonio Scott looks for an open man during the Franklin Middle School boys’ basketball game on Jan. 27, 2014. 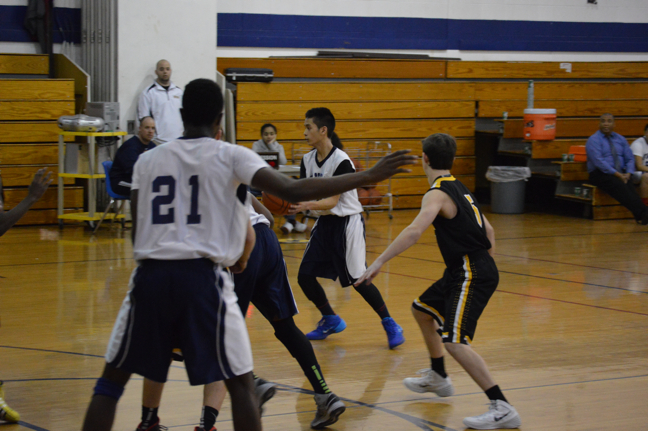 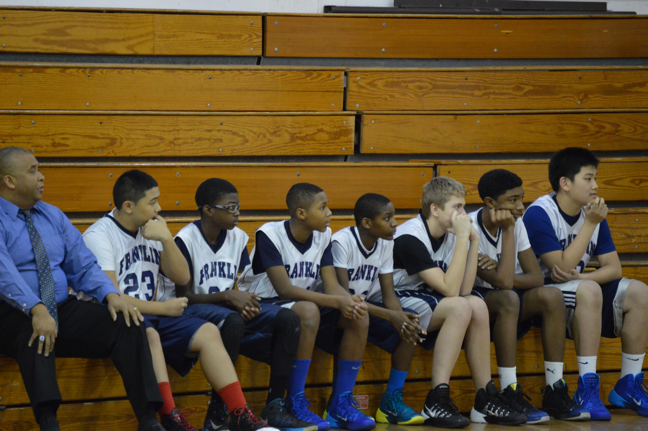 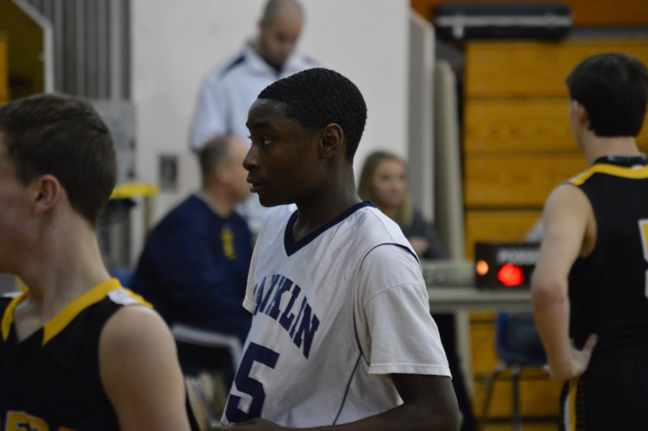 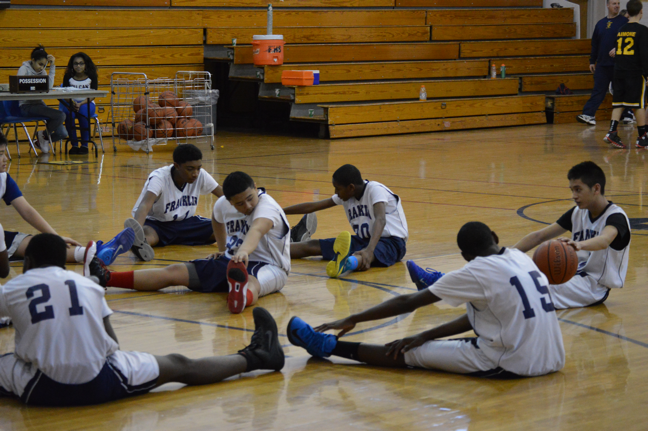 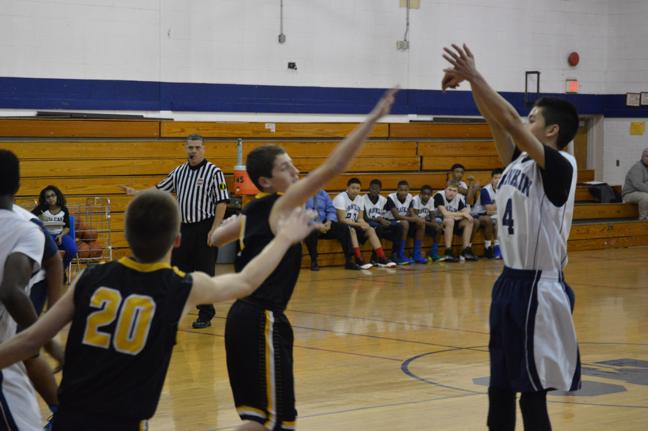 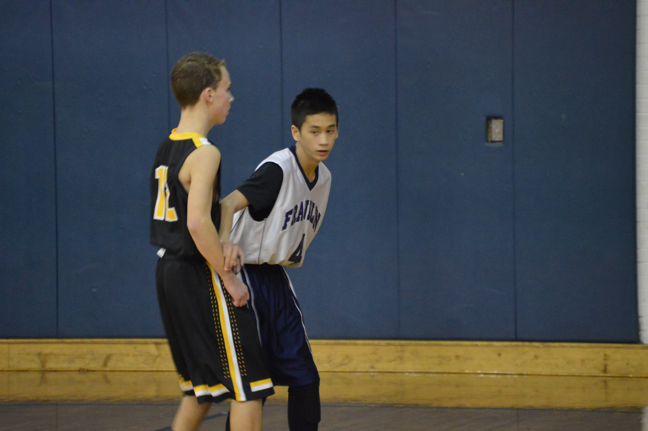 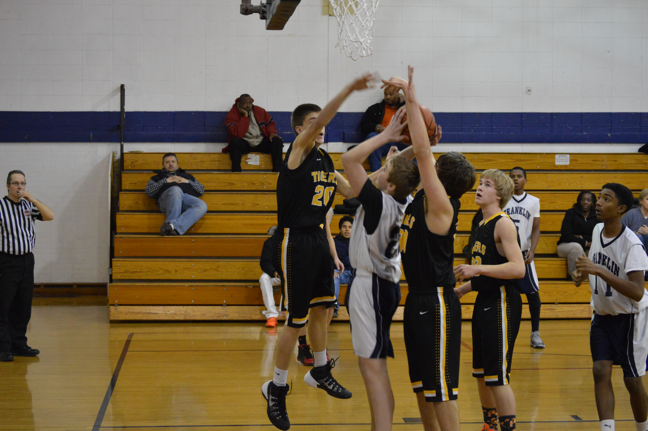 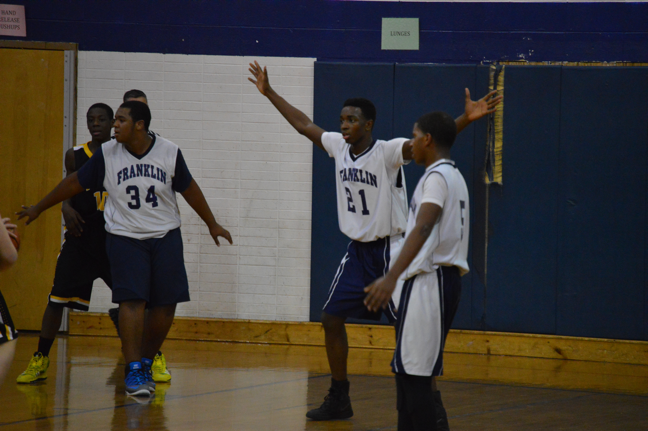 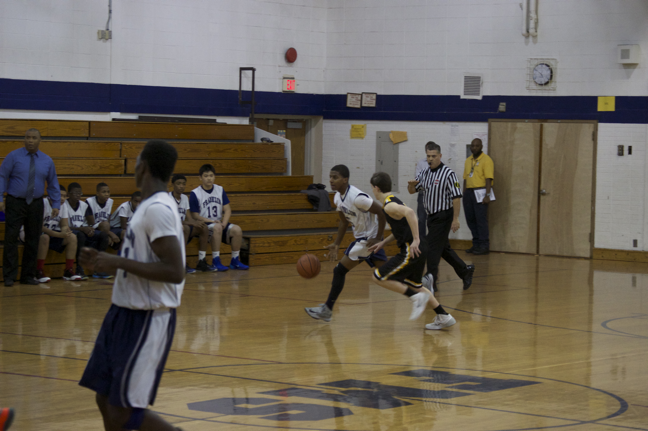 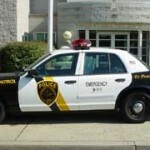 Although they kept it neck-and-neck in the first half, the Franklin Middle School boys’ basketball team ran out of steam in the second half, falling to JP Case Middle School of Flemington 58-44. 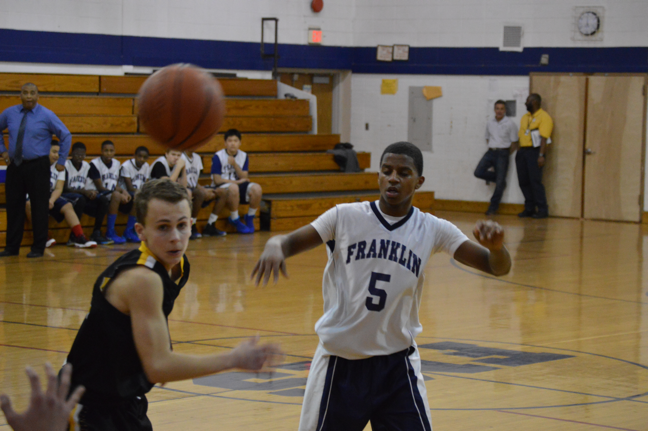 Case jumped out to a fast 4-0 lead after the tip-off, but Franklin quickly ties the game. 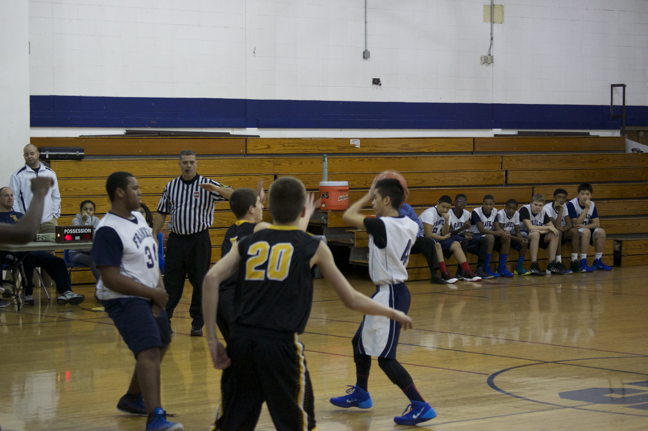 From there, and for most of the first two quarters, the teams traded baskets. 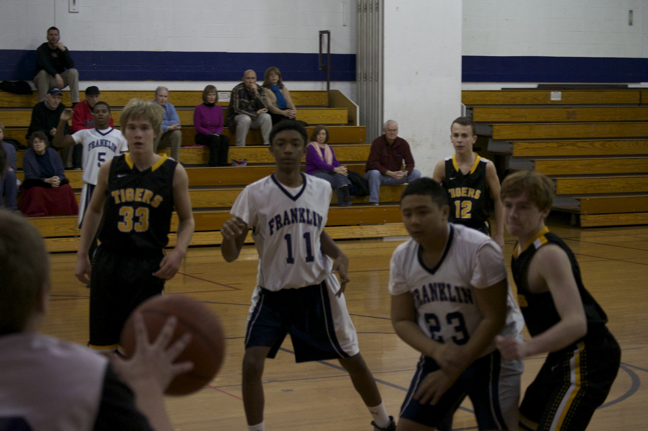 Franklin lead the game 12-10 with about 3 minutes left in the first quarter, finishing at the buzzer ahead 16-14. 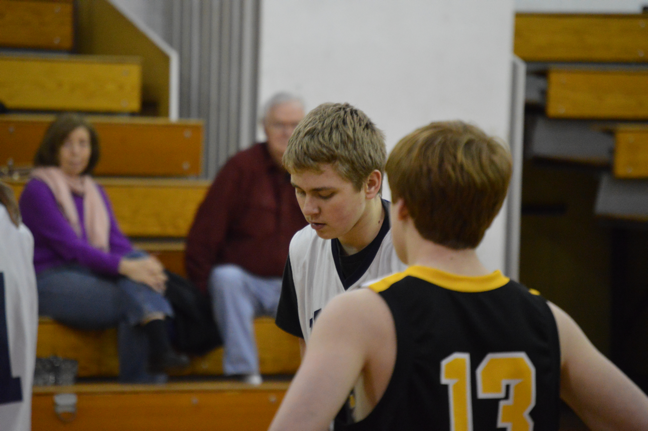 But JP Case grabbed the lead back, 17-16, about three minutes into the second quarter, and entered the halftime break with a 28-22 lead. 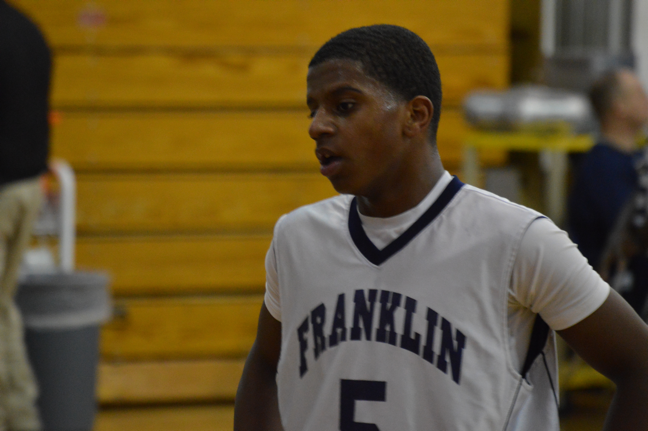 By the end of the third quarter, that lead had expanded to 49-39, and the Franklin boys looked like they were running on empty. 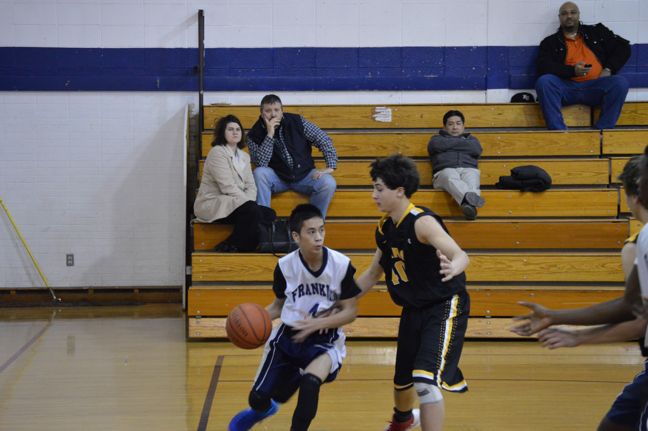 A series of turnovers, missed rebounds and missed shots allowed JP Case to maintain its lead to the final buzzer. 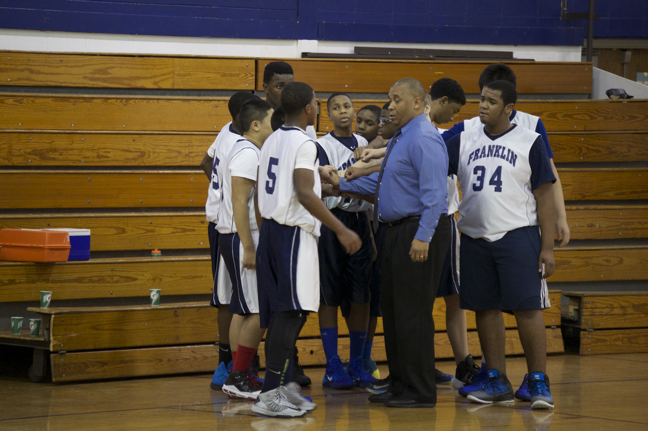 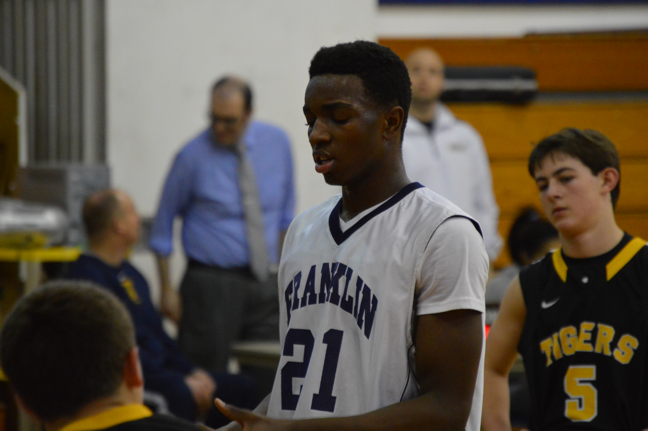 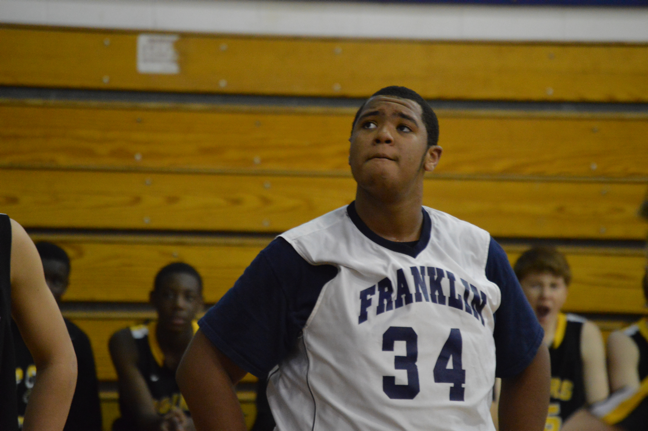 Even with the loss, Franklin coach Michael Harris said he was pleased with the way his team played. 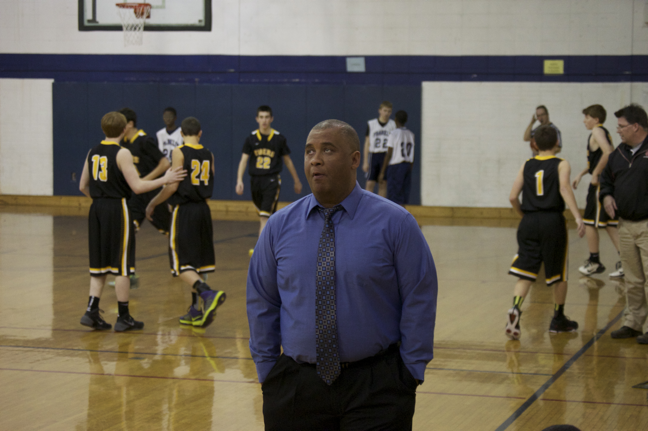 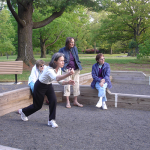 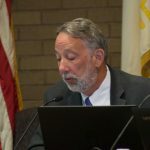 “I’m not pleased with the loss, but I’m pleased with the play,” he said. The loss drops the Franklin record to 4-10.